Police Benefit Fund on September 9, 1946 by President Harry S. Truman and permantly ordered in 1951 by presidential memorandum. The White House Police Fund's objectives were to provide flowers when a member had a death in their immediate family and to present a special gift to retiring White House Police (now the Uniformed Division of United States Secret Service) members. 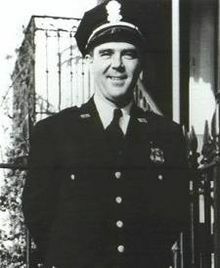 On November 1, 1950, White House Police Officer Leslie Coffelt was killed and two other Officers, Joseph Davidson and Donald Birdzell, were injured while defending President Truman during an assassination attempt at Blair House. 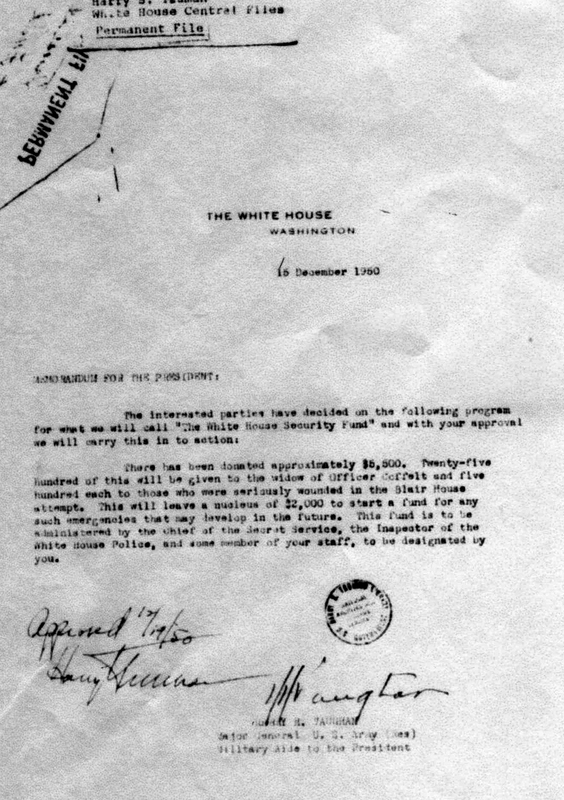 Following this assassination attempt and the heroic actions of Officer Coffelt, President Truman by permanent Presidential Order in coordination with then Chief of Secret Service, James Rowley and Army Brigadier General Harry Vaughan, enlarged the mission of the White House Police Fund which was renamed The White House Gift Shop, Est. 1946. 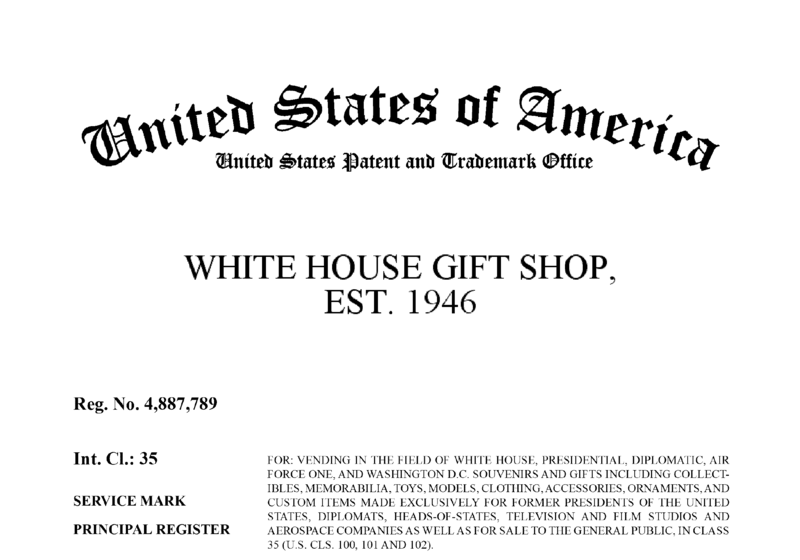 Today, The "only original official" White House Gift Shop, Est., 1946 in White House History continues to actively support Law Enforcement Departments or Agencies by funding special advanced firearms training and by purchasing safe and effective arms for departments often in smaller jurisdictions with limited advanced training budgets. If you are a rural or smaller law enforcement entity. 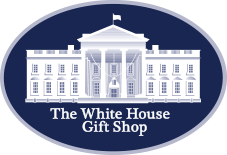 for more information about The White House Gift Shop's programs for arming your department (typically up to 70 officers) and providing world-class advanced LEO firearms training, on-site, e-mail giannini@whitehousegiftshop.com. On November 1st, of each year, the men and women of the United States Secret Service Uniformed Division honor the anniversary of Officer Coffelt's supreme sacrifice with a wreath laying ceremony at Blair House.